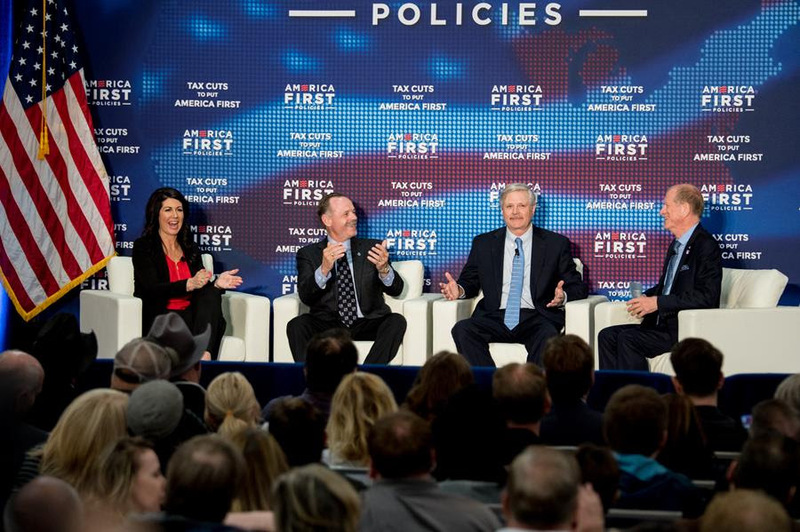 America First Policies made its ninth stop on its “Tax Cuts to Put America First” tour yesterday, March 27, at the Delta Hotels by Marriott in Fargo, North Dakota. The event featured a panel with U.S. Senator for North Dakota John Hoeven; Michelle Killoran, chief financial officer of the Fargo-based Scheels All Sports sporting goods retail chain, which awarded bonuses to its associates as a direct result of the tax cut; and Jeffry Volk, president and CEO of Moore Engineering, who serves on the board of the Greater Fargo/Moorhead Economic Development Corporation. The panel discussed how the tax legislation is affecting North Dakota residents, families, and businesses, and the nation as a whole. North Dakota Governor Doug Burgum also addressed the crowd of about 675 before Vice President Mike Pence took the stage. To view the panel discussion and the Vice President’s full remarks, click here. To read more about the event, click here. To read the Vice President's op-ed on how the tax cut is impacting North Dakotans for the better, click here.